A recent NBC News investigation looked into the medical device known has an inferior vena cava (IVC) filter, specifically one type called the Recovery Filter, manufactured by C.R. Bard. The news investigation was a bit horrifying, not only because it recounted that patients have died from this device, but also alleged that the manufacturing company had forged FDA application documents. The inferior vena cava is the largest vein in the human body, and carries deoxygenated blood from the lower part of the body through the heart and to the lungs. The purpose of IVC filters is to prevent blood clot (pulmonary emboli) from traveling to the lungs. Permanent inferior vena cava filters were first used in the later 1960s, with retrievable filters FDA approved back in 2003. Retrievable filters are intended to be implanted for a short period of time, and removed when the threat of pulmonary embolism (PE) has subsided. The device is quite small and looks a little like a metal case with wire “legs” that is surgically interested into a patient’s vein. Why can the device be so dangerous? 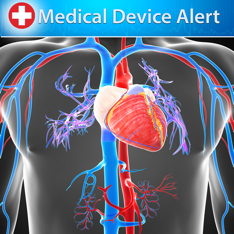 The FDA warned in both a 2010 Safety Communication and 2014 Updated Safety Communication that leaving retrievable IVC filters in the body for too long increases the chances of a complication occurring and recommended that physicians remove a filter as soon as a patient’s risk for PE has passed. The NBC News investigation, covered in part 1 and part 2, found that the Recovery Filter has been linked to more than 2 dozen deaths and numerous complaints. NBC News obtained confidential documents regarding the filter, noting that Bard previously hired a public relation firm in regards to the Recovery filter, as well as, an outside doctor to conduct a study on the filter. The study cited that the filter had higher rates of death, filter fracture, and filter movement than all of its competitors, according to NBC News. Yet, the company did not recall the filter and continued to sell it until later released a modified version of the IVC filter. NBC News then interviewed a former company insider, a regulatory specialist (on FDA regulations). She says Bard failed to give her results from a small clinical trial, and she grew concerned about the device after that. She stated in the interview that she would not sign Bard’s FDA application until her concerns were addressed, but her signature appears on the application. She stated that the form was signed without her knowledge. Some pretty surprising and troubling things are accounted in this series, bringing to light the issues with IVC filters. If you or a loved one has been injured by an IVC filter, it may be time to contact an experienced personal injury attorney. For more information about IVC filters, check out our resource center on DrugClaim.com.